A few months ago, unleaded client and asked me an interesting question. That question was how does one reconcil the tension between specific parts or hardware vs. the functional use in the product of those parts. This client was from a major fortune 500 company with a bill of material (BOM) containing thousands of parts on each product. I was a bit taken aback, at first, by this question. Although it is a very difficult question and subject, I assumed that most major companies were old hands at dealing with this tension. I was wrong. This system of numbering parts has been around for goodness knows how long. It is no great secret in the auto industry. I’m sure every person at Chrysler, GM, the foreign auto companies know the Ford system of numbering parts. In fact, apparently , eBay even teaches us about the Ford part numbering system. It’s very straightforward and makes complete sense. As a young engineer, fresh out of school, who didn’t know any better, I assumed that every company had a similar intelligent part numbering system. However, when I gained a little bit more experience and maturity, I realized that Ford’s ingenious but simple system was not so common sense at all throughout industry. In fact, most companies I have met in manufacturing have nothing more than a sequential part numbering system that tells nothing about the part for which you were looking. The point here is not for me to glorify the Ford part numbering system. I’m sure there are companies with even better and more intelligent part numbering systems out there. In fact, we don’t even have to go back into the horrors of the group technology fad in the late eighties or early nineties to know that! No, my point is that relatively simple and logical ways of classifying (but not over classifying things!) on the BOM can really help us in our management of engineering parts and the product. Therefore, in the next few weeks, I plan to post a series of articles that talk about these ways that we can view the bill of material and help ourselves and our company. I look forward to hearing what other experts in the product life cycle management will have to say in comments. If you are truly reviewing BOMs and their impact upon product life cycle management, you not only have to deal with as-designed and as-mfg. BOMs, but also as-maintained and as-to-be-maintained BOMs. The management challenges are great for maintenance-BOMs, especially for longer-live products. Maintained-BOMs have managerial cost issues that are highly challenging for the renewal processes of repair, overhaul, recondition, reset and others. Maintenance-BOMs must include material conditions, which can be new or renewed; mfg. BOMs assume that all materials are in a new-condition. The area of maintenance-BOMs and their configuration control is becoming more and more important as products become more and more enrobed with services, with one of those services being product support/maintenance. Organizations managiing service contracts can have many maintenance-BOMs for the same product. Do you know of well-written and concise articles that further illuminate the other BOM problems you highlight? Or perhaps you would like to write one and we could publish it here on HA? Very good – luck forward to it. Thanks Eric. Interesting introduction and, like you, in my early days I had assumed that the majority of companies would have such an intelligent part numbering system. I was disuaded of that myth very quickly. Any system you use for your company’s part numbering system has to have some reflection into the basic WBS down to the point where you start selecting from common base-level components. I am sure that even Ford would not individually identify nuts and bolts that have commonality all over their vehicles. Do many others explore the WBS as a way to enumerate part numbers? Paul, I have not done a formal study of this, but I see very few companies that have any link to a notion of hierarchy, function, WBS, etc. in their part numbers. Have you? I must have been fortunate in that most (but not all) of the companies I have worked with do link in with the WBS system for their part numbers. They have been, though, responsible for quite large projects and needed such systematic consideration to be able to clarify the management activities. I would guess that all companies could benefit from an intelligent part numbers system. 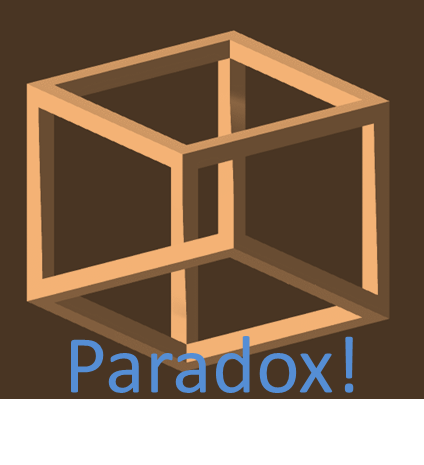 However, it seems logical enough that they more complex the product is, the more benefit the company would get from it. I agree – The primary problem is lack of “Integrated Thought Process” at the time of implementation of the PLM “System” – The basic needs of different phases of the Product Life Cycle are not considered at the time of “Part Number Structure” definition stage. In my opinion, the part number should be able to tell us, upfront: Program, Product Line, Functional Use, Application, Sourcing (with the global sourcing nuances), Size (Approximate), Hierarchy & Breakdown Structure, Base Level or Sub-Assembly status and last but not least, the version, Please don’t get me wrong, if I am asking for too much. I understand that it is just not possible to consider everything with just the Part Number. A low-maintenance operations needs mechanisms to manage all the above effectively. Or else, the company will be ending with manual intervention and thus increased incidence of errors. What I find is that all this can be achieved with a simple Part Numbering System and good “Relationship Policies” – with other entities. 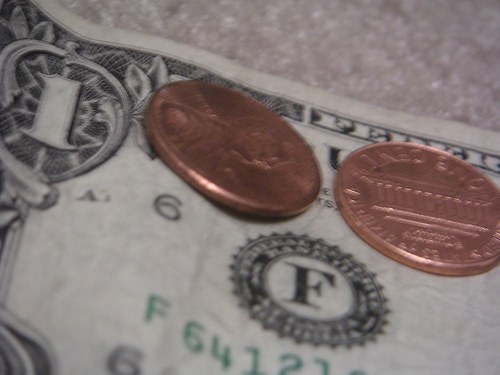 Majority of the companies do not establish these policies and do not maintain them well. Hence they end up having a lot of manual intervention and struggle! I look forward for your articles on the various issues and problems faced by other companies. Thank you for your thoughtful comment. The VIN covers A LOT of codes and info in one numbers, but it is quite long. I scratch my head a bit thinking how much is “too much” in the part number, where it becomes unwieldy. It seems that part of our problem can be solved with a more intelligent part numbers system and part of the problem is solved by a universal function driven BOM. 1. Where do we draw the line between what the Function Driven BOM covers vs. what the Intelligent Part # covers? 2. And, does the Intelligent Part # cover different info than the Function Driven BOM, or is it a summary of the must important info from the Function Driven BOM… or a combo of both? How does the Ford intelligent part numbering system work if I want to use a part across product programs? For example, I want to use the bolt for a 2004 F-150 on a 2006 Escape. Does the BOM for the 2006 Escape call up the 2004 F-150 bolt? Or do I have to take out a new part number for the same bolt to reference the 2006 Escape product program? The link states that the PN is made up for it’s first intended use. From the PN you can’t tell what it came from, only what it was originally designed for. I counted 7 hierarchies one time, related to Part Numbers. I’m interested what folks have to say about this topic. @ Tex – it’s been a while since I worked there. I will have to check for sure. I have a vague recollection that the release system (WERS) would show you the history, but you would pull a new number, as in you chose Product1 – HK145 – BA and it becomes Product2 – HK145 – BA. 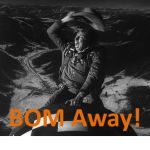 Seems to me you are confusing or unnecessarily conflating part number with BOM. A part number should uniquely identify a part, period. 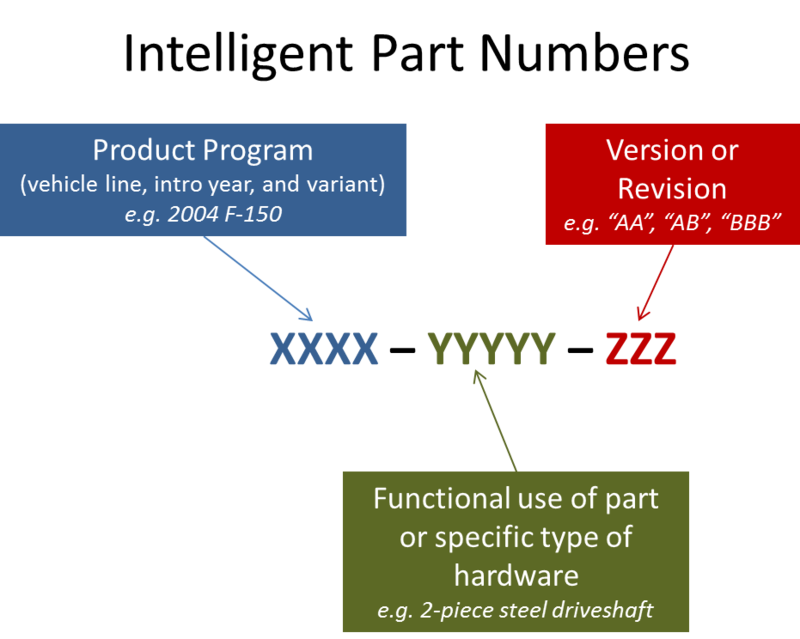 A BOM should show the relationship of that part to a) equivalent parts, b) not-equivalent parts, c) other parts, i.e., role in product, d) group technology code, e) unit cost and f) quality index. Another BOM may show quite different pattern of relationships to that part. I am not implying that we don’t need a BOM or that it should not do the things you advocate. However, I don’t see why that precludes and intelligent part number. I am arguing for “Progressive Discloser” — a term from software design where a user is first give a short highlight or snippet of the most critical info to that he can choose AMONG alternatives to select the one in which he is interested. At that point the users focus changes from a selection activity to a investigation activity on one one object. At that point, he “double-clicks” to get more info. We do this all over the place every day: Google search results, the top screen of you smartphone, looking at your email before you select a specific email to read, or even just looking at a books table of contents. Similarly, once a user thinks he has the right part by looking at the intelligent PN, he double-clicks by going to the PDM or PLM system to get the further info that you specify? Does that help put the Intelligent Part Number’s purpose in context or do you still not like the idea? That clearly explains that an intelligent part number contains data that is redundant to that in a BOM, strike 1, has not provision for automatic updating of any part of the iP, strike 2, and does not specify equivalent alternative, strike 3. The fact that similar things are done in software should be a warning, not a justification. I’m parked in the camp that says a p/n should uniquely identify a part, period, end of story. Any other assignment of categorization can be done in a part’s item master. I could rationalize an intelligent p/n back in the old days when computing power and database robustness was non-existent. In today’s world…nope. Looking forward to your case being made in future write ups, but for now am unmoved. 2004-F-150 (xxxx) – 2pcshaft (yyyy)-AA. Versions are created during each time save. Each Part will have its own revision. Sequence can be any (01,02,03). I assume that WBS is Work Breakdown Structure that I utilized for many years. I like the idea WBS driven parts numbering. A very good approach. Thank you for the complement. Yes, WBS = Work Breakdown Structure. I apologize for not defining it. I typically am very careful about defining acronyms. In this modern age, why in the world would you do this? I get it before the modern age of computers databases and such, when all you had was a enormous stack of drawings and you needed to find that part’s drawing. But in this day and age relating the part to its first use in a higher assembly by assigning a name linked to the namespace of first use is illogical. Definition of the part is very different than use of the part. In SysML, viewing the definition of part elements that compose a component element is the responsibility of the BDD diagram. Viewing the use of those parts is the responsibility of the IBD. Containment and use are very different concepts. In a model it is likely that one would create a library of re-usable parts to share amongst many assembly models. Assembly models might be shared amongst subsystem model and subsystems models would be shared amongst system models. Well, the idea of the the drawing being gone is sadly just a pipe dream of the PLM firms. For example, I personally know someone taking a CNC machining class currently in the Chicago area. He is also interviewing for jobs, and most of the firms at which he is interviewing use drawings to machine, NOT 3D. Therefore, part numbers are still quite relevant. Secondly, I am not implying that we don’t need a BOM or that it should not do the things you advocate. However, I don’t see why that precludes and intelligent part number. I am arguing for “Progressive Discloser” — a term from software design where a user is first give a short highlight or snippet of the most critical info to that he can choose AMONG alternatives to select the one in which he is interested. Writes and lectures on ERP, Process Analysis, Requirements Engineering, and Production and Inventory Management. One could still have a part of the part number that is unique, and in fact, the way Ford does the PN does make each one unique. However, it also still allows a human to look at a PN and get an instant high level understanding of the context in which the part is used. Wouldn’t it be ideal if every part had a unique, global number just like every media access controller has a unique MAC address? It sounds like a far-fetched idea although I was reading an article a couple of weeks ago about bolts that contain RFID chips. Well, you could do that easily enough if every part number had another prefix that was the company of origin, right? Alternatively, you could have a linked suffix that is this unique part MAC address. It is probably a good bet that the part number generator would run on a computer that has a MAC address. But, why have ginormous part ids if your company can get by with just a few digits? If saying or typing the part numbers is seldom done be mere humans, long numbers are okay. Otherwise, be prepared for a lot of trnasposiitons, omitons and extrra digits. I think that we could get around this problem by using progressive disclosure. Ergo, you could have a human-friendly intelligent part number for the first few digits, and then the random string for the part “MAC” address, or it could be intelligent to. But the MAC address could be listed in a separate line than the human friendly number on drawing etc, or not at all, right? One could always go to a website that would cross-ref the 2, correct? @Eric, when I get a user friendly part number I also get a globally unique identifier (GUID), right? The friendly number is an alias and is not guaranteed to be unique globally, unique. However, we would probably want to ensure the alias is unique within my organization. I think that is a pretty good way to go if you can set it up. Most of the number entry problems would be internal to the org where the easier number is used. The external users would work with the full GUID. If the GUID format had a built-in error correcting, or at least detecting code, you’d have a pretty good overall solution. You could even setup a different alias for external users to isolate your internal conventions from the outside world. Can you say more about the purpose of the GUID? One advantage I can see is to allow distributed part number assignment. As long as the program runs on a computer with a MAC and access to a global clock, ids can be created on-the-fly w/o and centralized bottlenecks (other than access to global time which should not be hard). What are the other benefits of a GUID for part id? Well, I am no expert at GUIDs, but the benefits seem pretty impressive. The main purpose of the GUID would be to just know what you are dealing with. As a recovering engineering from the auto industry myself, I remember the fear and confusion in the plant of *what* parts with which one is dealing. I think you have exactly the right idea, Dan. I.E. that 90% of the time you are inside the organization and the simple intelligent part number is all one needs. However, in those cases in which you are moving across the supply chain, the GUID is invaluable. Within a minute you can run to the computer and find out what part is in your hand. Theoretically, if each company had a unique ID (e.g. a stock ticker), they could control the GUID beneath the company prefix. For example, the Ford intelligent part system is essentially a GUID part numbering system. However, this puts the responsibility on each individual company to be disciplined… which is a recipe for disaster. I believe that it would be much more fault tolerant to use a GUID that is truly unique globally and let each company separately have their own intelligent part schema. This preserves both flexibility internally and consistency externally. The US DoD may be the closest to that. This CM/BOM topic is tough and controversial. There are really strong opinions in play, especially if you’re a contractor trying to keep a client happy and the client wants your BOM/part numbering system to follow their rules, even if they can’t explain them. My 2 cents, intelligent part numbers are an anachronism left over from pre-computer database days. The notion of intelligent part numbers is logical and appealing; it just collapses under the burden of practical execution. 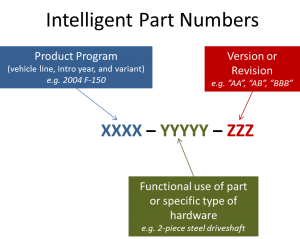 One of the problems that can create headaches is different parts with the same part number, not by accident or oversight, but as a product of the “intelligent part number” assignment process. It happens and people argue it is “right” even though it creates parts with the same part number that are not interchangeable. This is an important topic and discipline that has been lost with the advent of ERP systems that people buy, but don’t understand. I suspect most failed/delayed/problematic manufacturing ERP systems can trace their problems back to poor and non-existent disciplines related to Family Trees (WBS’s? ), BOM’s, Item Masters, Routings and Configuration Management. If your part numbering structure does not start at the top and devolve downwards in an intelligent way, would you work upwards from the bottom? There are sometimes merits in doing so as you end up using the manufacturers part number (of the component you buy in from) but then have to invent a part number for those parts you make yourself. I suspect that most companies are now employing a bit of a mixture and hence the rules got a bit foggy. I think you might find the conversation here interesting. There we are discussion using an intelligent part number, in combination with a GUID. There are also 2 arguments I would like to bring for. 2. The purpose of an Intelligent Part Number is *NOT* primarily to be only a unique ID. It is to provide an intuitive system by which HUMANS can know what they are dealing with. E.G. in the specific system cited from Ford, the engineering knows what program and type of part functionally, with which he is dealing, even without knowing with revision or variant he has. That alone is very valuable. Just some thought for the mix. the challenge is that a truely company wide BoM has to provide the backbone product information to satisfy many business processes, for example at the concept phase of a new product development is to scope the definition of the new product and in doing that define what commonality opportunities are to realised with exsting products, at the other end of the product lifecycle spectrum is the definition of the products to be offered to the market place and clearly what needs to be serviceable post sale. in recognising these different facets of the business, the BoM then becomes a backbone of common understanding whether your in engineering, finance, sales, marketing, manufacturing, purchasing …. each of the functions needing to add value to the backbone definition without the need for manual transformation of the core structures. To you point above, would the structure proposed in the following article, specifically the “Fit” (Attributes) of the part accomplish your goals in your comment?